As the surface of the body, skin is a significant part that needs to be taken care of. Nowadays, skincare products have become daily consumption for most girls who want to have white radiant skin. With high prices, all those skincare products claim that they use natural remedies that will not only whiten the color of the skin but also safe for any skin type. However, skincare products always contain chemical elements. These chemicals might endanger the skin after several years of usage. To keep our skin healthy, treatments with the help of natural remedies are way better. Natural remedies can give you bright free-blemishes skin in just several days of treatment. Here are the simple ways on how to whiten your skin in 3 days! Aloe Vera and lemon are the first two natural treatments for lightening the skin in three days. Aloe Vera has been widely considered as one of the best plant remedies for skincare treatment. The aloesin of the Aloe Vera can brighter the skin effectively. As for lemon, the vitamin C is good for skin as it can reduce the blemishes and encourage new cells to produce. There are two ways of using Aloe Vera and lemon as skincare treatments. The first way is to make Aloe Vera-Lemon juice moisturizer. Take a fresh Aloe Vera leaf and get a spoon full of its gel. Put the gel in the bowl and press the gel with the spoon to soften it. Next, squeeze the lemon into the Aloe Vera gel and blend them together. For dry skin type, add sweet almond oil into the moisturizer. Apply the moisturizer into the face and let it dry. Then apply your all-day makeup without foundation. The second way to whiten the skin using Aloe Vera and lemon is to make it as ice cube. Use the moist aloe vera gel and half a cup of lemon juice. Mix the two in a bowl and pour it to an ice cube tray. Freeze the Aloe vera-lemon juice for 24 hours. Use the ice cube to massage your skin in the morning for 2 minutes. The cold sensation will freshen your skin and boost your mood in the morning. It will reduce the oil production of the skin and make it whiten after 3-day treatment. Using licorice powder and tomato as a mask can also whiten the skin. Prepare on medium ripe tomato and licorice powder. Crush the tomato before adding two tablespoons of licorice powder. Stir those two until it mixes well. For dry skin, add honey or four tablespoon of milk. 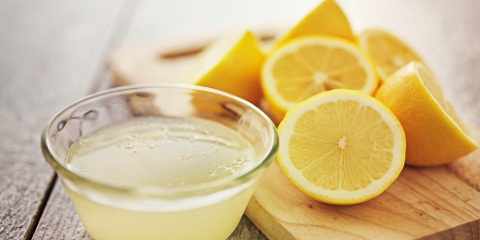 For oily skin, add lemon juice to add the vitamin C. Apply the mask on the skin and leave it dry for 30 minutes. Scrub off the dry mask using washcloth and then wash off with warm water. Another simple way to get a white skin in just 3 days is using orange juice. Orange juice carries vitamin A and vitamin C that can remove black spots. Put oranges in the refrigerator before using it. We can make the juice by squeezing the chilled orange. Dip a washcloth or cotton wool into the chilled orange juice. Dab the washcloth on the skin while rub it gently. Leave it dry for 7 minutes, and then wash off with cold water. So now you know how to whiten your skin in 3 days. All of the ways mentioned above are easy and it does not take a long time to prepare the ingredients. We can easily find the remedies from our surrounding. Most importantly, those natural treatments will whiten the skin as well as make it healthy. So, rather than using skincare products, you can start using plant remedies that come in handy.